As part of the licensing process, each of Bord Na Móna’s peat harvesting areas has a planned after-use. There are either conservation or long term after-use programmes, including the creation of wetlands and forestry. Gardening gloves should be worn when handling this product. Anyone prone to allergies should satisfy themselves that they can handle this product without difficulty. Under certain weather conditions fungal growth may appear on chipped bark inside the bag or after laying. This growth is harmless to plants and will disappear as the chipped bark ages. This pack has been filed in accordance with the Growing Media Association Code of Practice for Quantity Measurement. 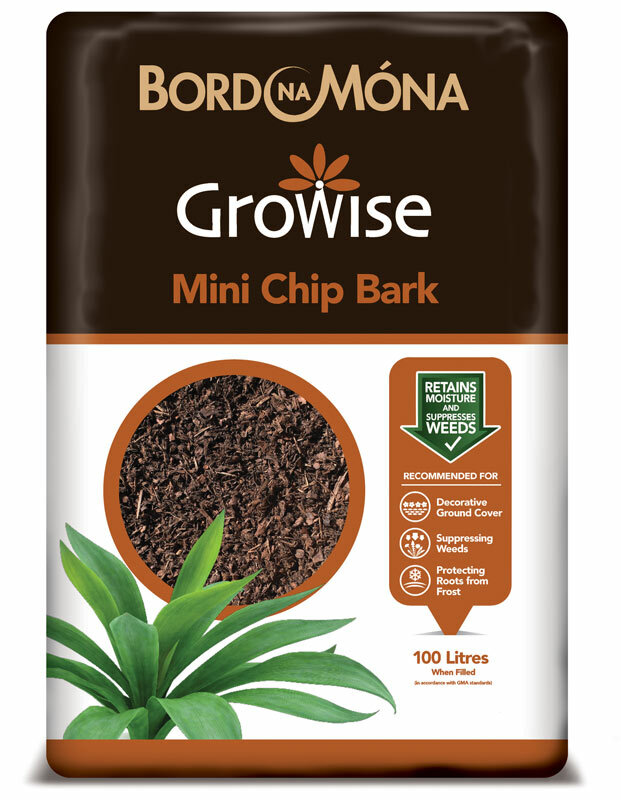 Bord Na Móna Growise Mini Chip Bark is a long-lasting, natural mulch, providing an attractive finish to beds and borders. Mini Chip Bark provides an easy to maintain, decorative surface for paths and recreational areas around the garden. Mini Chip Bark also helps with moisture retention and weed control. The attractive colour and appearance of Growise Mini Chip Bark provides contrast and compliments plants and shrubs, showing them to their best advantage. A mulch of Growise Mini Chip Bark reduces soil evaporation helping plants retain moisture during dry periods. Growise Mini Chip Bark, spread at the correct depth, will help suppress weeds and reduce garden maintenance time. Growise Mini Chip Bark helps protect plant roots from extremes of temperature in both winter and summer. A layer of Growise Mini Chip Bark will help soften the appearance of paths and other hard surfaces around the garden. 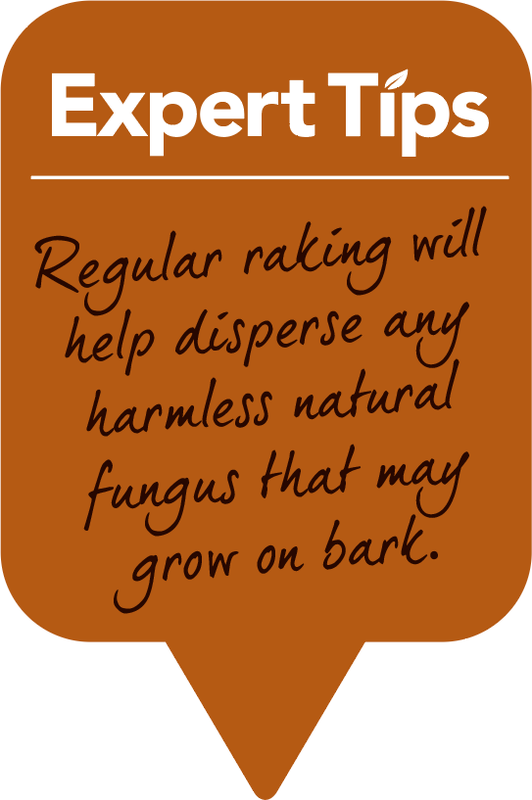 Spread Mini Chip Bark by rake, to a depth of 2.5 – 5.0cm (1-2”). The minimum depth to give effective weed suppression is 5cm (2”). Spread generous amounts of Mini Chip Bark to edge drives and paths and to protect other heavy use areas in the garden. Apply using a rake.